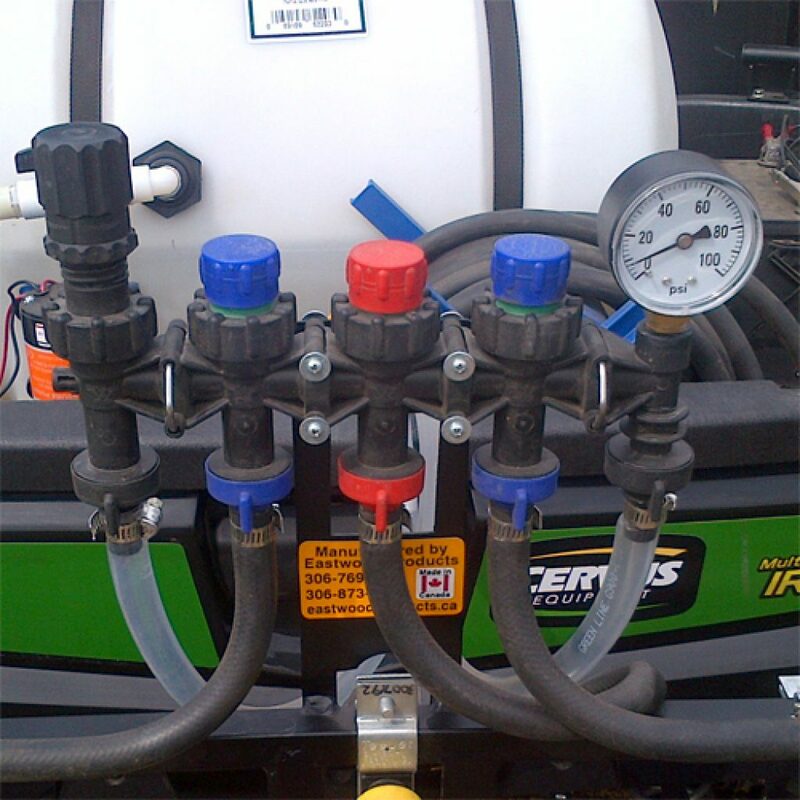 Wilger’s versatile combo-rate® stacking nozzle bodies make the ideal sprayer manifold for plumbing and controlling small to medium estate & turf sprayers. 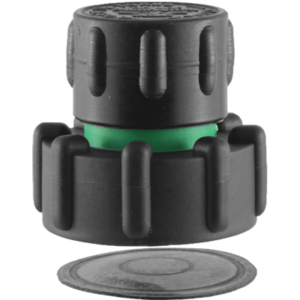 Since combo-rate® (cr) nozzle components are infinitely stackable, you can make a whole heap of different configurations for a typical turf or estate sprayer. 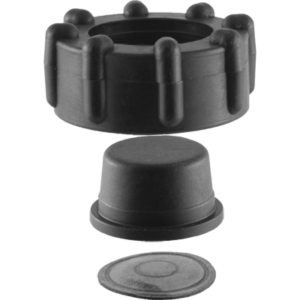 CR end bodies stack onto any female combo-clip port. 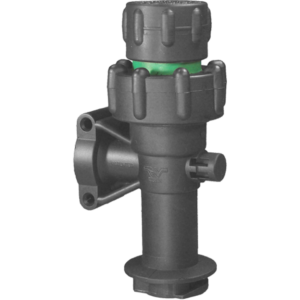 They can use any cr shut-off modules (including pressure release valves) for any requirement on a manifold. 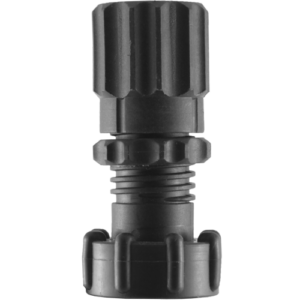 CR thru bodies stack onto any other cr nozzle body components. cr thru bodies always have one male and one female combo-clip port, and must have a plug or end body to plug off the last open port. Thru bodies can use any cr shut-off modules (including pressure release valves). 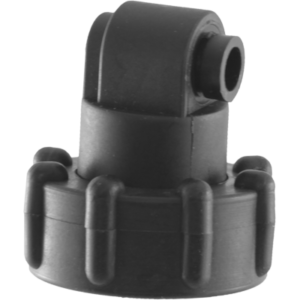 There are a number of cr stacking nozzle body components, from 1/4″ npt-f end bodies to 90° adapter bodies. Reference the combo-rate® brochure or wilger price list for full listing of components. 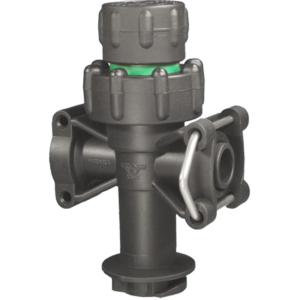 A pressure release valve (prv) fitting can be set to release any pressure over and above the intended pressure. 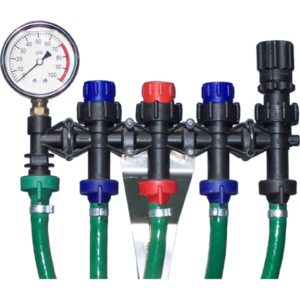 For example, if the knob is turned to equalize the pressure to 40psi, any flow that would build the pressure past 40 psi would be released through the nozzle body.